The VDP.Weinboerse is an annual 2-day event in Mainz, Germany. It is the first comprehensive presentation by the VDP, the association of about 200 German elite winemakers, of the white wines of the new vintage, for trade, restaurants and press only. 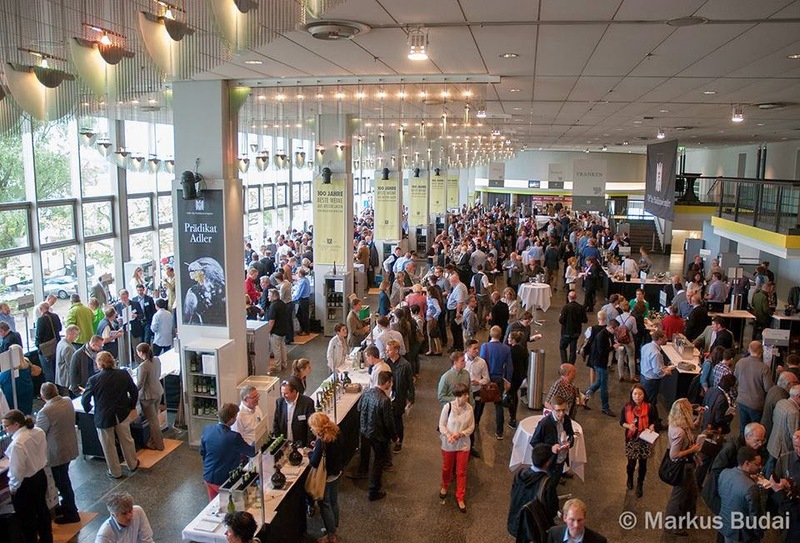 This year about 175 VDP producers were on hand to present more than 1500 wines. Some 3200 professionals from all over the world attended. With the 2 German wine tours coming up later in the year, I focused on those winemakers that we will visit in September 2014. In this posting, I confined myself to the Sun-kissed German South Tour. From September 14 – September 20, 2014, we will explore three wine regions (Baden, Pfalz, southern Rheinhessen) in the south of Germany and will experience the German red wine revolution. We will visit 16 crème de la crème wineries in southern Germany, normally not open to visitors. We will cross the Rhine River and visit the Maison Trimbach in Alsace to taste the difference between German and Alsatian wines despite the geographic proximity. Among the highlights will be tasting first class Pinot Noirs with the winemakers, and experiencing the culinary South. A special treat will be wine pairing lunches at 1-Michelin-star restaurants. Pictures: Christian G.E. Schiller with US Importer Kevin Pike and German Star Wine Photographer and (recently also) Winemaker Andreas Durst. Picture: Christian G.E. Schiller with Friedrich Keller jun. Pictures: Christian G.E. Schiller, Friedrich Becker jun. and Friedrich Becker sen.
VDP member, but did not attend the Weinboerse. Here is a selection of postings on schiller-wine about the winemakers we will visit.